Today’s gospel (Mt 10:17-22) tells us the means by which Deacon Stephen was to overcome his persecutors and bravely face his death (quote is from Mt 10:19b and Acts 6:10). It was the Holy Spirit, the Spirit of truth that was given to him and for which, by employing, he was rewarded with a vision of heaven and, in short order, entrance thereto. Jesus did not promise His disciples a rose garden. For many of them, the only semblance of that flower they would experience in this life was its thorns. Scourging and death awaited, sometimes due to betrayal from the most unexpected sources (i.e., immediate family). But Jesus did not give His disciples, not does He give us, a burden that He did not carry first. A promised challenge and a challenging promise. 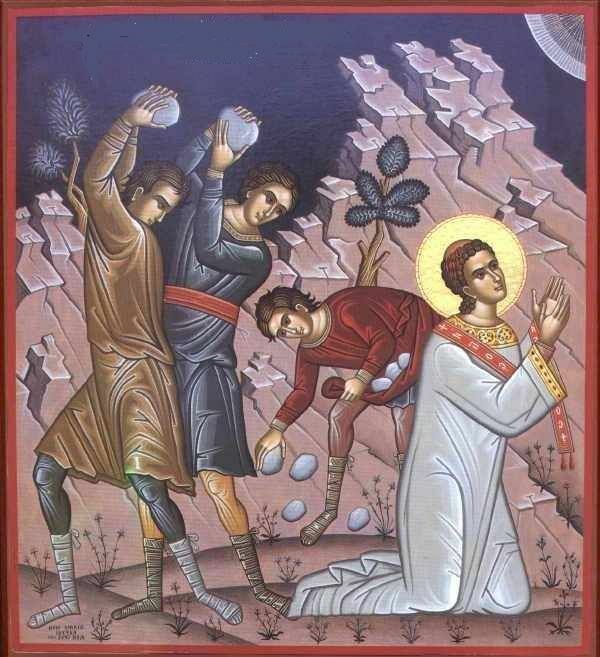 St. Stephen, Deacon and Martyr, pray for us that we may endure faithfully, even unto death, as you did!